it was not my intention to not post on this blog for three months. (|||❛︵❛.) i am so sorry about that! anyway, onto the main purpose of today's post. this is a new "section" that i want to start on my blog! so today, i have two types of art supplies/mediums to show you guys!! they're the two mediums that i've been reaching for lately: markers and watercolors. 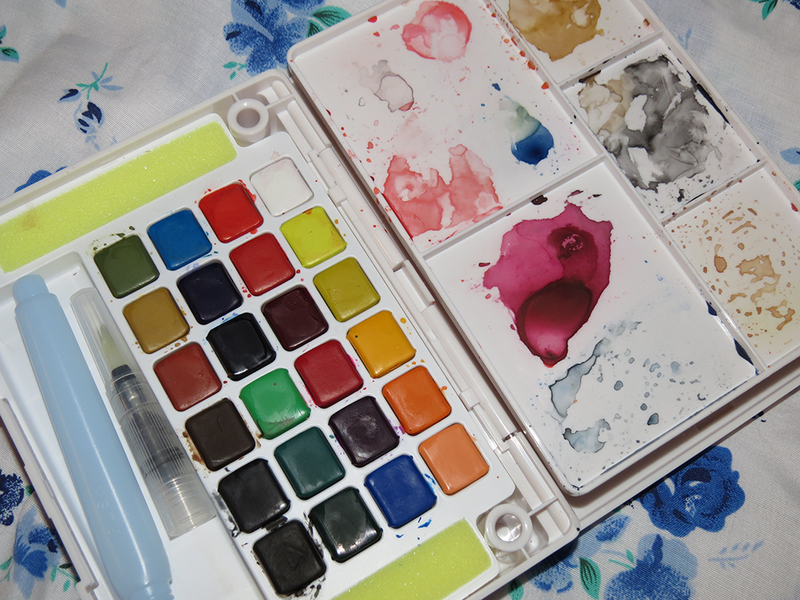 this watercolor set has a variety of uses and tools! it comes with a waterbrush, sponges to clean your brush, a mixing palette, and a canvas holder! it's so small and light-weight that you can literally carry this palette everywhere! the colors are super pigmented and you get a good variety of colors and shades to work with. and honestly, the price is to die for.